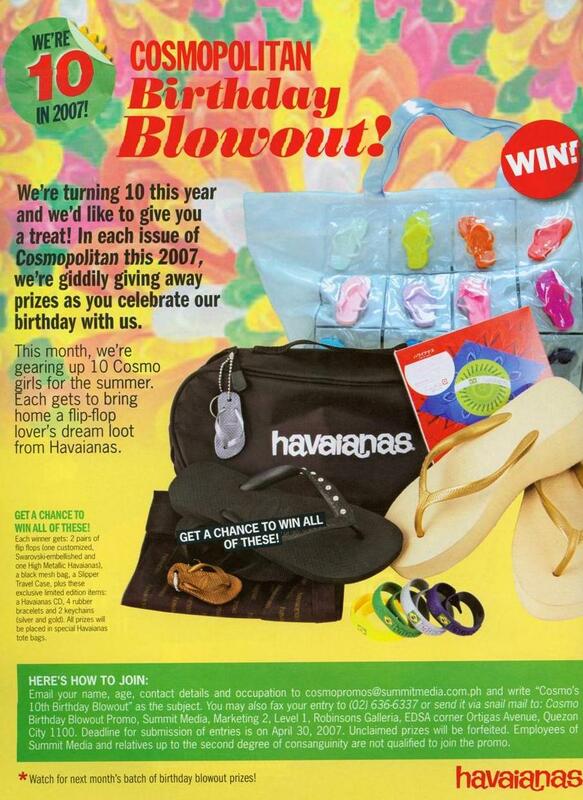 Cosmo Philippines is turning 10 this year, and they've been giving away prizes since every month since the year started. This month, they're giving away "a flip-flop lover's dream loot from Havaianas"! P.S. If ever you enter the contest because you learned about it here in my blog, and you were one of the 10 winners, akin na lang yung gold keychain, ha :) Balato ba :P Hehehe. yan yung bag ni francine prieto nung nakita namin sila sa boracay hehe.